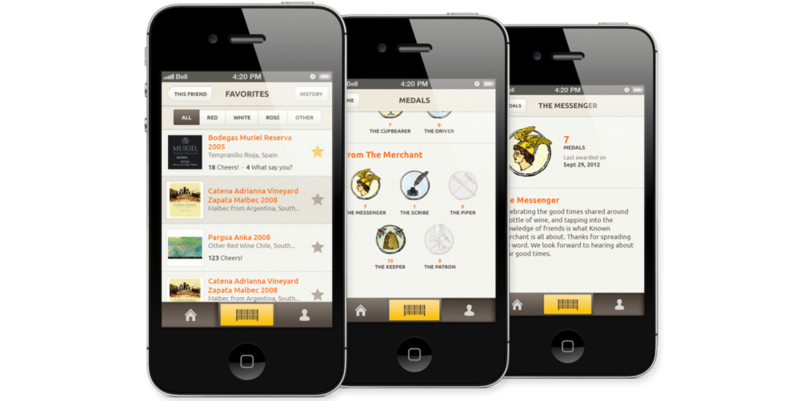 See what your friends, and everyone else, are saying are saying about wine in real time. Scan a barcode to instantly identify thousands of wines. Remember your favorite wines, and view your friends' favorites. Show friends how much you appreciate them by awarding them a medal. The Flow: leading the UX effort, I worked with the team to identify the personas that are to use our app, and then to define the use-cases and user tasks. Based on that, we locked the features we want to launch with in our MVP. These features where then translated into the user flows and information architecture. Using balsamiq, we created interactive wireframes and were able to test how the app will work for the end user before getting into the design work or writing a single line of code. The Design: The big challenge here was how to successfully bring the unique voice of the brand (all illustrated by hand with ink on paper), into the slick, digital world of iOS, and make them talk together and strengthen one another. One of the first realizations was that we must have the handmade illustrations live on a paper texture. We had to give the ink that natural world it was meant to live in. The paper texture also added warmth and history-like feeling. To balance that and not "over do it", we decided to go with clean, slick buttons and lines and to work with a contemporary san-serif font. We nailed the look and feel. To give the brand more visibility, we used error messages, screens with no friends, no activity or no results. These were the perfect ground to hear the brand voice and start to have some fun!